Goodyear is a tire and rubber manufacturing company based in Ohio, USA. The company produces tires for cars, trucks, motorcycles, SUVs, airplanes, and heavy farm or construction machineries. Frank Seiberling started the company in 1898 with thirteen employees. Tires, poker chips, and horseshoe pads were their first products. The company eventually grew with the development of automobiles. The company has around 60,000 employees worldwide. They operate over 45 facilities in about 22 countries. Two innovation centers have also been built to develop new products and services in Ohio, USA and Colmar-Berg, Luxembourg. The company is dedicated to providing an employment package that will help workers improve their lives. Employee benefits include comprehensive health insurance, 401k and pension plan, paid time off and vacation benefits, and paid maternity or paternity leave. Commitment to employees is one of the company’s foundations. They provide various training and development programs to help employees move forward with their careers. Resource groups are available to support employees sharing a common life experience or certain characteristics. How old do you have to be to work at Goodyear? The minimum age requirement for entry level positions is 18 years old. However, in upper level management positions, the applicant needs to be at least 21 years old to qualify. As the company expands worldwide, hiring is a continuous process. Company locations are shops, innovation centers, chemical and airship operation centers, and racing tires centers. Available positions may vary depending on the location. Passenger Tire Fitter: A Passenger Tire Fitter checks and identifies the damages and wear of tires. He removes the tires that are already in the vehicle and ensures that the replacement tires fit well. He may also provide recommendations for the rims and tube accessories. The Passenger Tire Fitter also makes sure that the safety requirements for the tires are well followed. Automotive Technician: An Automotive Technician handles complicated tire and automotive problems. He works on brake repairs, wheel alignment, preventive maintenance, and fluid exchanges. Ensuring that safety standards of the Tire and Alignment Service Department are followed is also a part of his responsibilities. Diesel Technician: A Diesel Technician repairs engine cooling and the fuel system. He also handles clutch troubleshooting and exhaust system replacements. A Diesel Technician may also inspect electrical wiring and lights and the air conditioning system, and may provide referral to a different department as needed. Electrician: An Electrician handles the assembly, installation, layout, and testing of all electrical wiring, fixtures, and control equipment for the store. He is also in charge of diagnosing potential electrical problems and may perform preventive maintenance procedures to company machineries and equipment. The Electrician also makes sure that factory systems (such as hydraulics) are well maintained. Automotive Customer Advisor: An Automotive Customer Advisor handles the communication with all customer inquiries within or even outside the store. He also obtains customer feedbacks and handles any customer concern or complaint. The Automotive Customer Advisor may work with the Sales Team for promotional programs and special events. Customer Service Representative: A Customer Service Representative processes all customer orders and requests. He acts as a liaison in between departments to make sure that a product order or service request reaches the proper department. He also monitors shipment as necessary. The Customer Service Representative works closely with the Customer Advisor and the Sales team to boost company sales. Commercial Sales Representative: A Commercial Sales Representative is responsible for promoting and selling automotive and tire products and company services. He develops business strategies and marketing programs to meet potential clients. The Commercial Sales Representative also prepares a weekly sales plan and sends reports to the Sales team for evaluation and goal setting. Center Manager: The Center Manager monitors all location staffs’ work flow and assignment. He is responsible for monitoring the store’s inventory, financial accounting, trucks, and all equipment and machineries. The Center Manager also trains new employees and evaluates and makes recommendations for the existing ones. Warehouse Associate: The Warehouse Associate is expected to monitor and assist in the unloading of shipped products to the warehouse. He keeps inventory records and makes reports for management tracking. The Warehouse Associate is also responsible for the maintenance and cleanliness of the warehouse. Pick-Up and Delivery Driver: A Pick-Up and Delivery Driver is responsible in transporting new and retreaded tires and other automotive products between center locations, dealers, and customers. He helps in loading and unloading products. The Pick-Up and Delivery Driver also processes and secures delivery billing documents for accounting records. Interested job seekers may send their application through the company’s official website. Their website allows job seekers to search for jobs according to position or location. While a job seeker may file an application in store locations, the company prefers job applications to be done online. It is easier for the hiring team to match a job seeker to an available position online. In completing the form for online application, the job seeker must make sure that all fields are complete and accurate. He should ensure that his email is working as updates and follow-ups are done through electronic mail. Successful resumes are usually composed of one or two pages. Information must be complete and the most important ones should be easily seen in the front page. Related trainings and work experience must always be listed in chronological order. Interviews are essential for securing a position. The job seeker must be on the appointed location on time. He should also be appropriately dressed. Supporting documents may also be brought if ever the hiring team will require them. The company is founded on the culture of diversity and inclusiveness. They encourage respect and acceptance in every work environment for all races, cultures, religions, and social status. The company is committed to promoting a green environment. Recently, they have launched new product designs to enhance the performance of electric cars. It was also reported that the company will launch new automobile products to support sustainable urban mobility. Over the years, the company became truly iconic, being associated with global events. Goodyear made the tires for the Apollo 14 mission. The company has also been a consistent sponsor and sole tire provider of numerous racing events. The company has assisted several grant programs for community or charity projects. Employees have also joined programs for a cause like marathons and volunteering programs. 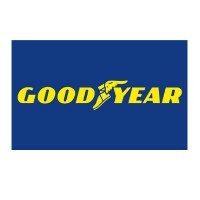 1 How old do you have to be to work at Goodyear?